Custom Closets, Design Closets, Walk-in Closets, Reach-in Closets, Modular Closets. Closets New Mexico, Closets Arizona, Closets Colorado, Closets Utah. It’s time to organize. 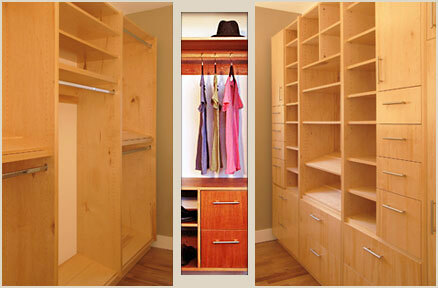 Let Snappy Closets outfit your home with the most beautiful modular closet and furniture systems available. Walk-in Closets, Reach-in Closets, Shoe Shelves, Tilt-out Hampers, Drawers, Adjustable Shelves: find the perfect combination for your space. Order directly from us, we ship anywhere in the U.S. Made so that you can design and install yourself. Closet PODs can now be ordered directly online. Copyright © 2009 Snappy Closets. All rights reserved. Webdesign by fabrik1design.